Welcome to Perthshire Pullets, the place to find hens for sale in Scotland. I will give as much help and advice that I can on all aspects of hen keeping. 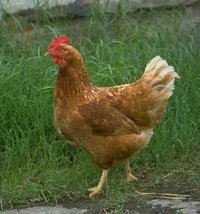 I welcome enquires from all over Scotland and will deliver pullets to most parts subject to a minimum order for western islands. Extra delivery charges may apply for long distance deliveries.